Ulcerative colitis is a chronic disorder that affects the large bowel or the colon. This disorder is the inflammation of the colon, which is responsible for gathering and storing excess waste from digestion. If you have colitis and want to treat it naturally, there are many options available to you. Various circumstances may cause inflammation of the colon and result in colitis, such as an autoimmune disease, infection or an overgrowth of bad bacteria. The symptoms of colitis are typically sporadic and come and go with fairly long periods in-between flare-ups. Some patients will have no symptoms in between these periods of flare-ups. The first symptom of ulcerative colitis is a progressive loosening of the stool. The stool is generally bloody and may be associated with cramping, abdominal pain and severe urgency to use the bathroom. The diarrhea may begin slowly or quite suddenly. Other symptoms are loss of appetite, weight loss and fatigue. In addition, there may be skin lesions, joint pain, eye inflammation, and liver disorders. When young children have Ulcerative Colitis they may fail to develop or grow properly. Approximately half of all patients with Ulcerative Colitis have mild symptoms. However, others may suffer with more severe symptoms such as abdominal cramping, bloody diarrhea, nausea, and fever. There are supplements that help with colitis like prebiotics and probiotics. Many of those suffering with Colitis have found that changing their diets has a significant impact on their symptoms and flare-ups. Other people opt for natural treatments that compliment their treatment protocol described by their doctors. Depending on how you manage your diet, the symptoms can range from intense to remission. 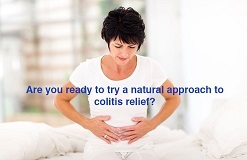 What Are Natural Ways You Can Manage Colitis? Cutting down on refined carbohydrates. These are foods made with white flour and sugar. For recipe ideas check out the The Specific Carbohydrate Diet Cookbook by Raman Prasad. Avoiding foods that trigger an allergic response. Keep a food journal to write down what you are eating. Foods which typically are not agreeable for Colitis sufferers are wheat, gluten, soy, dairy, eggs and GMO corn. Eat a diet rich in prebiotic. Prebiotics grow the good bacteria in your gut. Try adding Jerusalem artichokes, dandelion greens, garlic, onion, leeks and asparagus to your meals. If you want additional fiber you can easily supplement with Perfect Pass Prebiotic. Just add a scoop to water, juice or a smoothie daily. Cut down on sugar or eliminate it completely. Supplement with honey, stevia, brown rice syrup, coconut sugar, or xylitol. Add a spore based probiotic to your daily routine. The imbalance of bacteria is thought to be a potential cause of Ulcerative Colitis. 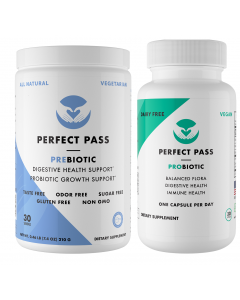 We recommend taking 2 capsules daily of Perfect Pass Probiotic to add in more good bacteria which crowds out the bad bacteria. Several studies have shown that probiotics help reduce the symptoms during flareups. If your symptoms become severe, it is important for you to seek medical help. Persistent diarrhea, feelings of weakness, dehydration, and fever can all indicate serious concerns and you will want to be under a doctors care.